Your primary dental market is the single, specific dental treatment service you want to target with this website, for example, cosmetic dentistry, or dental implants. All the content on your website is designed to make it easy for patients looking for this particular service in your local area to find you on the search engines. Research shows that a single-topic website is the most effective way to reach users looking for that exact topic. You can also select up to three secondary dental markets to include on this website to let your potential patients know about your other services. However, if you want to specifically target these other services in the search engines, you should consider adding an additional website specifically targeted at these services. Each Internet Dental Alliance website is targets one Primary Dental Market, and up to 3 additional focus areas. You’ll find this information in the “Dental Markets” area of the “Customize Portals” section. Your Primary Dental Market is the one single dental treatment service that you want to target with this website. It may be general dentistry, cosmetic dentistry, implants, braces – whatever types of patients you want to reach. Choosing your Primary Dental Market is a critical decision. You can change it in the Control Panel at any time, but be careful! Changing your Primary market automatically changes all of the text, and may over-write some of your customized text. Changing the primary market of an already ranking website can cost you search engine ranking. Consider adding another website rather than changing the Primary Market. In addition, you can choose up to three Secondary Markets to feature in your website. You’ll probably want to do that when you set up the website in the Control Panel for the first time. This lets patients know you offer additional services. But remember, each website is specifically geared to make you show up in search engines for the Primary Market. Your primary geographic dental markets are the cities or towns in which your dental practice is associated. You can add up to four additional geographic areas in which to market your dental practice. Choose neighboring towns or suburbs from which you reasonably want to attract patients. In urban areas it may be adjacent neighborhoods or districts. In more rural areas, it may be neighboring towns. You know best how the people in your area refer to their neighboring areas. Note: your primary geographical market is always the location of your primary practice. The “Geographic Markets” area in the “Customize Portals” section is where you geo-target your website for your particular area – essential to getting local patients to find you online. A website’s Primary Geographic Market is always the location of the primary practice associated with that website, and will be automatically loaded when the website is first built. You can also add up to four more additional geographic areas that will be listed on your site. This information will help your website appear in the search engines for local searches. When adding geographic areas, you should target those areas from which you are currently getting the most new patients. These will frequently be neighboring towns or cities, but not always! It all depends how people in your area search for local information. In a big city, you might use neighborhood names; in a rural area, you might use regional identifiers. Click “New City or Area” to add a geographic market to your list. Enter the name of the city or area, the state, and a ZIP code at the center of that area. The ZIP codes won’t be visible on your website, but they’re added to your website’s programming to help search engines find you. 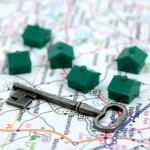 You can use the arrow keys to re-prioritize your list of Geographical Markets. +Jim Du Molin is a leading Internet marketing expert for dentists in North America. He has helped hundreds of doctors make more money in their practices using his proven Internet marketing techniques. LeadFire - powered by IDA - © 2018, Internet Dental Alliance, Inc. (IDA). All Rights Reserved.